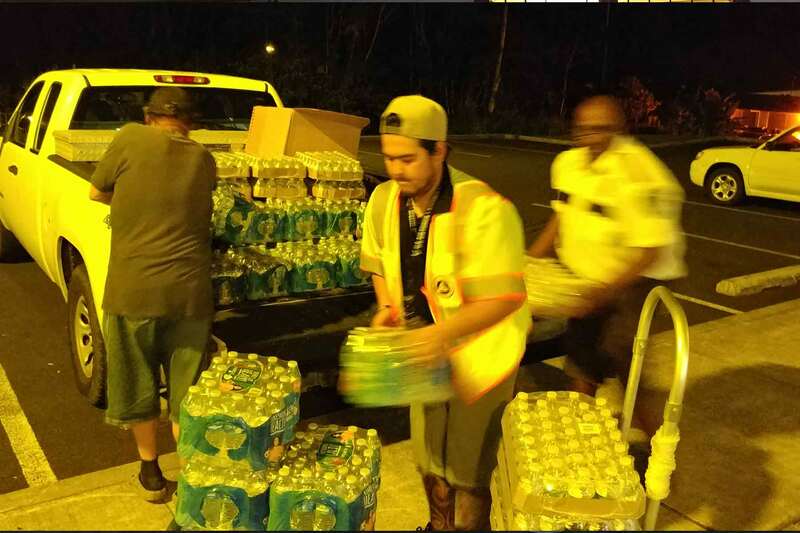 (Original Post) Hilo, Hawaii, HI [May 21, 2018] – Emergency Disaster Services [EDS] personnel and volunteers from The Salvation Army are supporting those affected by the Puna lava flow with meal coordination, hydration, and emotional and spiritual care at the shelters in Pahoa, Keaau and Puna. In addition, The Salvation Army oversees and staffs a distribution center in Pahoa near the pool parking area that provides essential items to those in need. Hours of operation are Tuesdays, Thursdays, and Saturdays from 9 a.m. to noon and 2 p.m. to 5 p.m. Food and bottled water donations continue to be directed to the Food Basket, and clothing and other specific requested donations to The Salvation Army’s three Hawaii Island thrift stores. VOLUNTEERS – There is a continued need for volunteers to help sort items and staff The Salvation Army’s Distribution Center near the Pahoa Shelter and to help sort clothing and other donations at the The Salvation Army’s thrift stores in Honokaa, Hilo and Kailua-Kona. Visit hawaii.salvationarmy.org and click on the “volunteer” option button on the main page. Current volunteer opportunities can be viewed by entering a local zip code by island. DONATION REQUESTS – Current donations requested for the Distribution Center include: blankets, camping chairs, clothing, cots, flashlights, garbage bags (thick-outdoor), laundry detergent (liquid), mats, pillows, single-burner camp stoves, sleeping bags, tarps (thick), and towels. Any of these items, may be dropped off at any of The Salvation Army’s three Hawaii Island thrift stores in Hilo, Honokaa, and Kailua-Kona. Food donations, including bottled water, should be directed to Food Basket, Hawaii Island’s Food Bank, in Hilo and Kailua-Kona. MEALS – 9,032 meals were served at the shelters between May 9 and May 20. The Salvation Army continues shelter meal coordination and seeks large volume meal donations from local restaurants and certified kitchens [due to health safety food preparation standards]. Contact The Salvation Army at (808) 756-0306. Central Pacific Bank – Central Pacific Bank announced its 35 branch locations will be accepting monetary donations to benefit Hawaii disaster relief efforts. Monetary donations will be accepted through May 31, 2018 and will go toward The Salvation Army's EDS efforts in Hawaii, with the opportunity for customers to designate support of either Hawaii Island or Kauai relief and recovery efforts. First Hawaiian Bank - Aloha for Hawaii Fund to support The Salvation Army’s relief efforts for the Kilauea Volcano Eruption on the Big Island and recovery efforts for flooding on Kauai and in East Oahu. Donations can now be made at any of First Hawaiian Bank’s 61 branches located in Hawaii, Guam and Saipan. Foodland - "Aloha for Puna & Pahoa" Disaster Relief (The Salvation Army). Customers will be able to make monetary donations at all Foodland and Sack N Save stores and Malama Markets in Hawaii in $5, $10 or $20 amounts beginning May 9. Donations will go towards The Salvation Army’s EDS efforts. Previously announced contributions to The Salvation Army’s EDS efforts in Hawaii include:Ansaldo Honolulu JV; Bank of Hawaii Foundation; Central Pacific Bank Foundation; Enterprise, Alamo & National Car Rental Hawaii, Hawaiian Airlines; and Kaiser Permanente. During emergencies, the best way the public can help is to provide monetary donations which allows the delivery of the exact relief supplies a community needs. Plus, The Salvation Army uses one-hundred percent of all donations designated ‘disaster relief’ in support of disaster operations.” Visit hawaii.salvationarmy.org for details.